In Brussels there are several great museums worth visiting, and there are of course quite a lot of interesting not interesting at all. If you plan on visiting many museums, you should consider buying the Brussels Card which will give you discounts, or free entrance, to more than 20 museums in Brussels. 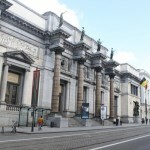 We have picked some of the most interesting museums in Brussels and will write some more information about those here. This museum is probably the nicest and the most famous in all of Brussels, at least among art loves. 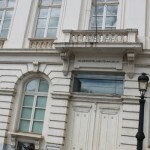 The official name of the museum is Musees Royaux des Beaux-Arts. The museum is divided into two parts, one for classical art, and one for more modern art. Visitors coming to the Royal Museums of Fine Arts can see paintings made by for example Rubens, Van Dyke, Magritte and Brueghel. The museum is located very close to the Royal Palace of Brussels, making it easy to get here on foot from the Grote Markt. The address of the museum is Rue de la Regence 3. The Comic Strip Center is a museum in the capital city of Belgium, in Brussels. The museum is dedicated to all kind of comic strip art. The Comic Strip Center is located in the central of Brussels and a beautiful Art Nouveau building gives home to it. The building was build in 1906 by Victor Horta. The Comic Strip Center opened its doors the first time in 1989. In a really short period of time it became on of the most popular spots in the city and every year it is visited by 200.000 visitors. The museum is nearby to the Royal district and it is really close to Grand’Place. At the museum there are plenty of permanent exhibitions and a wide range of temporary exhibitions as well. The museum has the focus on all kind of comics from Europe. In Belgium there are more than 700 comic strip authors and the country have also the most comic strip artists in the world. This form of art has truly grew itself out to one of the most popular style in the art in Belgium. The Comic Strip Center gives home to the biggest names and their works of the comic strip art in Belgium such as Tintin, Bob and Bobette, the Smurfs, the Lucky Luke, Blake and Mortimer and so on. The main goal of the museum is to bring closer the comic strip art to the people and made this form of the art as part of the people’s life and as valued by them as the main stream art. At the museum there are several activities, changing programs and different guided tours as well. The museum also has an own library. The museum is open every day from 10 in the morning until 6 in the evening, except on Mondays. The BELvue is a museum in the capital city of Belgium in Brussels. The museum is dedicated to the Belgian history and the democracy. At the museum there are plenty of temporary and permanent exhibitions all year. The museum also offers a wide range of cultural activities and different kind of programs. The Kingdom of Belgium was founded around two centuries ago and it started with the revolution in Brussels in 1830. The museum has more than 1500 historical and unique documents of the revolution and the museum displays movie trailers and pictures to the visitors as well. It is a perfect time to discover and learn more of the history of Belgium. The BELvue shows the creation of Belgium from the beginning until today and it shows the largest events, community movements, the defence of the human rights and shows a lot about the colonisation of Congo. The temporary exhibitions at the museum are mostly related to the Belgian heritage, the history and the democracy. In addition with the temporary and permanent exhibitions there are several other fun and creative programs and activities for everyone. The museum offers a wide range of educational activities for the visitors and there are plenty of guided or private tours, family and school groups, conferences, concerts, movies and so on. The BELvue is in Brussels in the capital of Belgium which is located near to the Royal Palace just front of the Brussels’ Park. The building it was originally built as a luxury hotel in the 18th century. Musee des Instruments de Musique is a museum in the center of Brussels, not far from the Royal Museum of Fine Arts. Here the visitors of the museum can see more than 1000 objects/instruments exhibited, a combination of old and new instruments side by side. Any music lover and musician should pay a visit to this museum. The Brewery museum is the museum with the best location in all of Brussels. The museum is located at the Grote Markt, impossible not to find. Inside the museum you get information about Belgian beer, the beer production and you will of course get to taste Belgian beer as well. During the visit you also get to know more about the ingredients used to make beer, filtrating and other Beer production secrets. The museum of cocoa and chocolate is the museum any chocolate lover must visit. It is only a few meters from the Grote Markt, and here you will be taken back in history to the days of the Aztecs and the Maya people. You will follow the way of the cocoa from those days, until the present days in Belgium today. You will be taken through the exhibition watching video screens, seeing illustrations and you will also get to see how they make real Belgian pralines today.